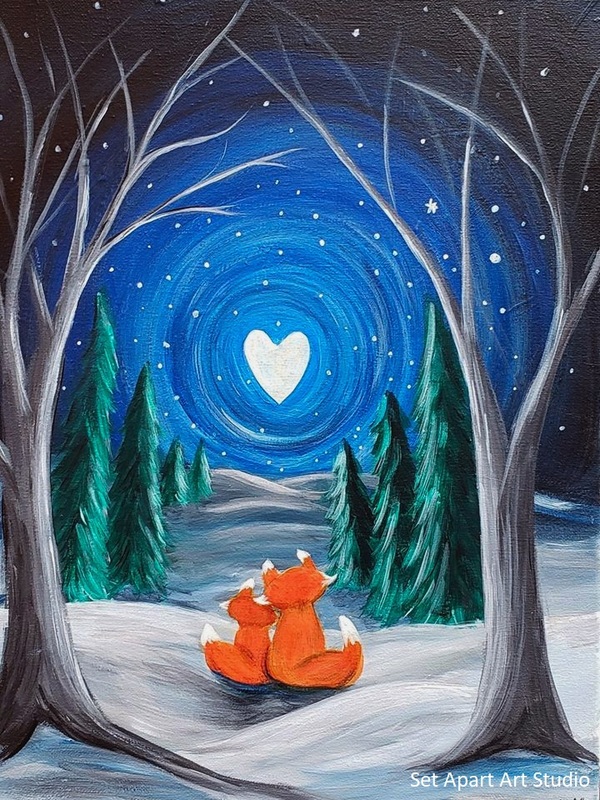 Please join us in painting this sweet masterpiece on a 12x16 called, "Moonlight Foxes". All supplies provided and step by step instructions given. Paint in a creative, fun, cheery environment. Must purchase a ticket to hold spot.